We must make religion a power that is conducive to peace. Is Religion Really to Blame for Global Violence? Karen Armstrong is the most original and inclusive speaker on the role of religion in the modern world. Her bestselling books, including A History of God, and sought-after talks examine the differences and the profound similarities between Christianity, Islam, and Judaism, and their impact on world events. 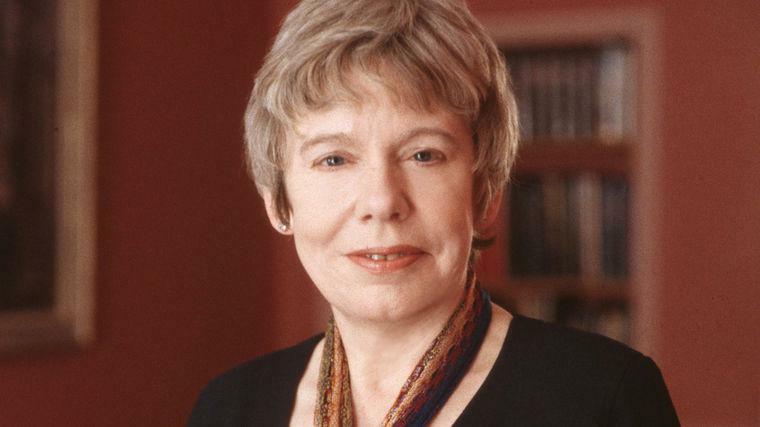 Karen Armstrong, OBE (Officer of the Most Excellent Order of the British Empire) is a religious historian whose books have been translated into forty-five languages. They include international bestseller A History of God, as well as Islam: A Short History, A Short History of Myth, The Spiral Staircase, and most recently Fields of Blood: Religion and the History of Violence, which was called “provocative and extremely readable,” in a Publisher’s Weekly starred review. She was appointed by Kofi Anan to the High Level Group of the UN Alliance of Civilizations with the task of diagnosing the causes of religious extremism, and subsequently awarded the Franklin D. Roosevelt Four Freedoms Medal. She was the recipient of the British Academy’s inaugural Nayef Al-Rodham Prize for Improving Transcultural Understanding, as well as the ISESCO/OCIS prize for Educators. She’s also been chosen as the laureate elect for the Princess of Asturias Prize for Social Sciences and is a Fellow of the Royal Society of Literature. One of the most original thinkers on the role of religion in the modern world—author of such acclaimed books as A History of God, Islam, and Buddha—now gives us an impassioned and practical talk that can help us make the world a more compassionate place. Karen Armstrong believes that while compassion is intrinsic in all human beings, each of us needs to work diligently to cultivate and expand our capacity for compassion. Here, in this straightforward, thoughtful, and thought-provoking talk, she sets out a program that can lead us toward a more compassionate life. From Karen Armstrong, the bestselling author of A History of God and The Spiral Staircase, comes this extraordinary investigation of a critical moment in the evolution of religious thought. In the ninth century BCE, events in four regions of the civilized world led to the rise of religious traditions that have endured to the present day—the development of Confucianism and Daoism in China, Hinduism and Buddhism in India, monotheism in Israel, and philosophical rationalism in Greece. Armstrong, one of our most prominent religious scholars, examines how these traditions began in response to the violence of their time. Studying figures as diverse as the Buddha and Socrates, Confucius and Jeremiah, Armstrong reveals how these still enduring philosophies can help address our contemporary problems. In 1962, at age seventeen, Karen Armstrong entered a convent, eager to meet God. After seven brutally unhappy years as a nun, she left her order to pursue English literature at Oxford. But convent life had profoundly altered her, and coping with the outside world and her expiring faith proved to be excruciating. Her deep solitude and a terrifying illness—diagnosed only years later as epilepsy—marked her forever as an outsider. In her own mind she was a complete failure: as a nun, as an academic, and as a normal woman capable of intimacy. Her future seemed very much in question until she stumbled into comparative theology. What she found, in learning, thinking, and writing about other religions, was the ecstasy and transcendence she had never felt as a nun. Gripping, revelatory, and inspirational, this talk is an extraordinary account of an astonishing spiritual journey. In this talk, Karen Armstrong gives a nuanced exploration of the part that religion plays in human life, drawing on the insights of the past in order to build a faith that speaks to the needs of our dangerously polarized age. Moving from the Paleolithic age to the present, Karen Armstrong details the great lengths to which humankind has gone in order to experience a sacred reality that it called by many names, such as God, Brahman, Nirvana, Allah, or Dao. Focusing especially on Christianity but including Judaism, Islam, Buddhism, Hinduism, and Chinese spiritualities, Armstrong examines the diminished impulse toward religion in our own time, when a significant number of people either want nothing to do with God or question the efficacy of faith. Why has God become unbelievable? Why is it that atheists and theists alike now think and speak about God in a way that veers so profoundly from the thinking of our ancestors? Answering these questions with the same depth of knowledge and profound insight that have marked all her acclaimed books, Armstrong makes clear how the changing face of the world has necessarily changed the importance of religion at both the societal and the individual level.